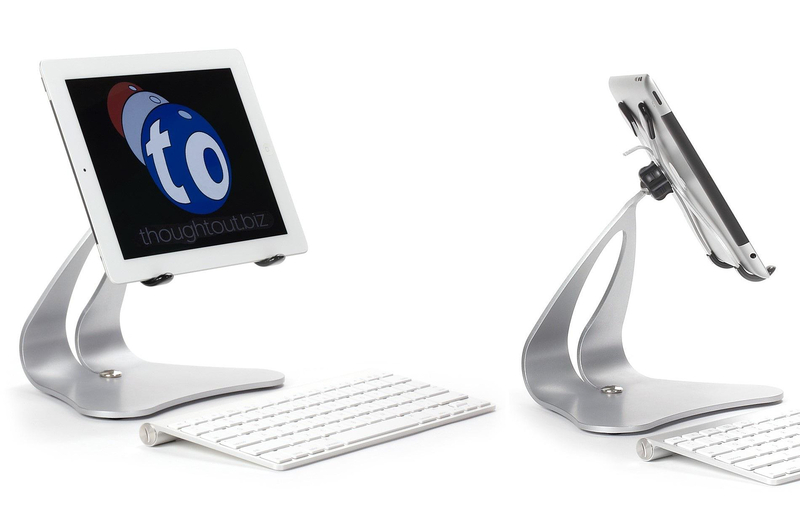 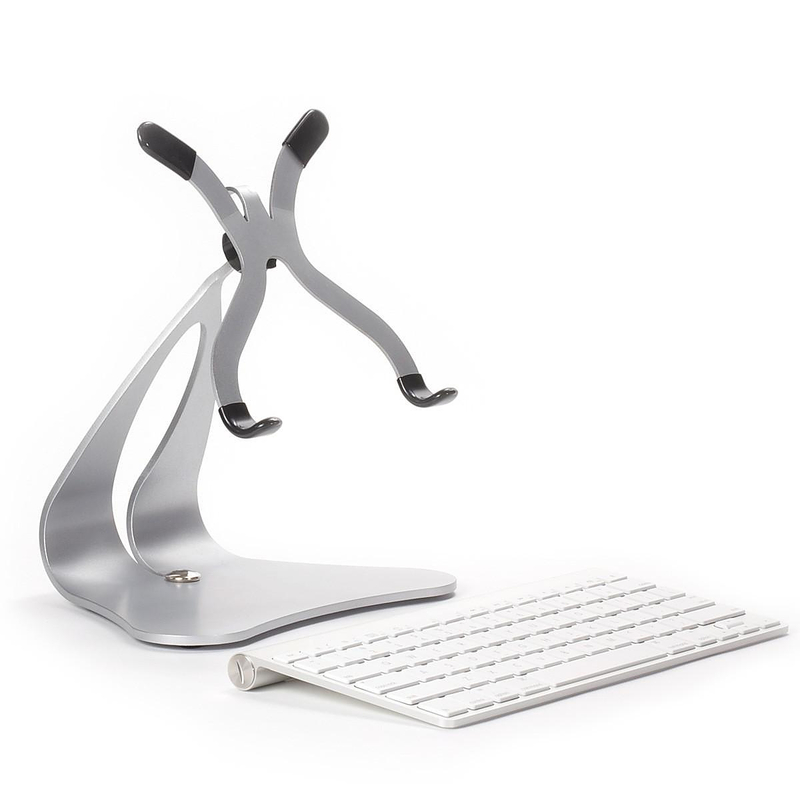 HomeBlogTechnologyStabile PRO Pivoting iPad Stand by Thought Out. 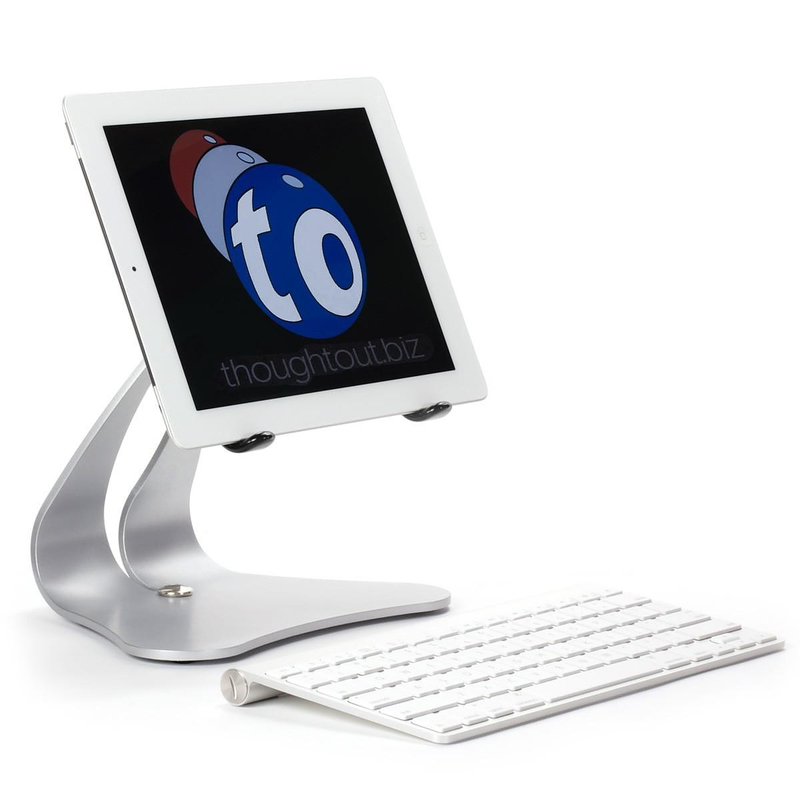 The Stabile PRO iPad stand by Thought Out is a sturdy platform that transforms your iPad into a desktop unit with flawless style and impressive quality. 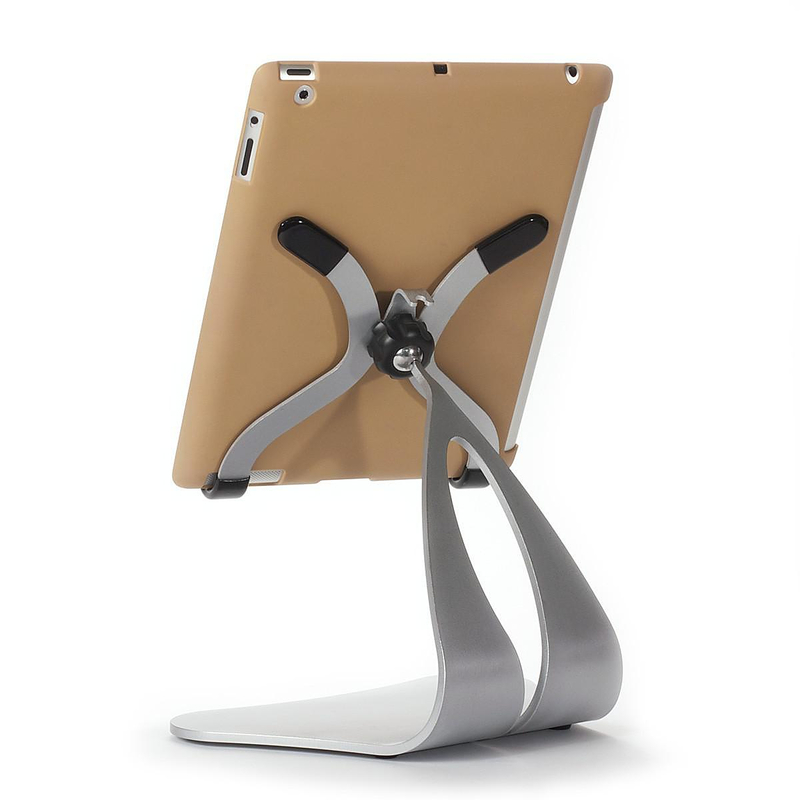 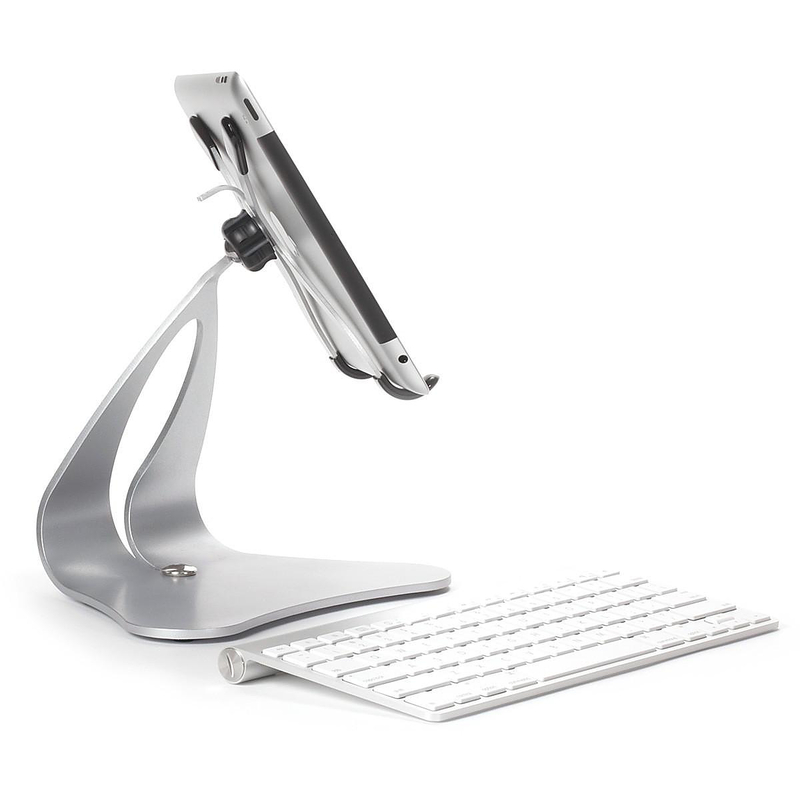 Consturcted from solid steel and weighting 2.5 times the weight of an iPad, the Stabile PRO makes the perfect iPad stand. 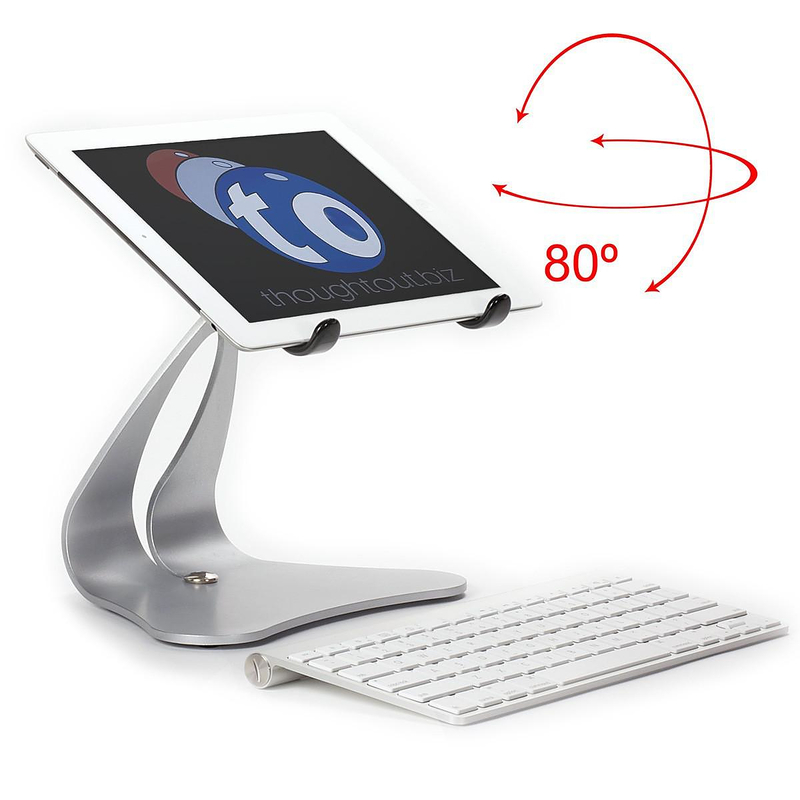 Its low center of gravity helps to keep your iPad stable and secure while the pivoting steel ball holder allows you to easily tilt the screen as you wish. 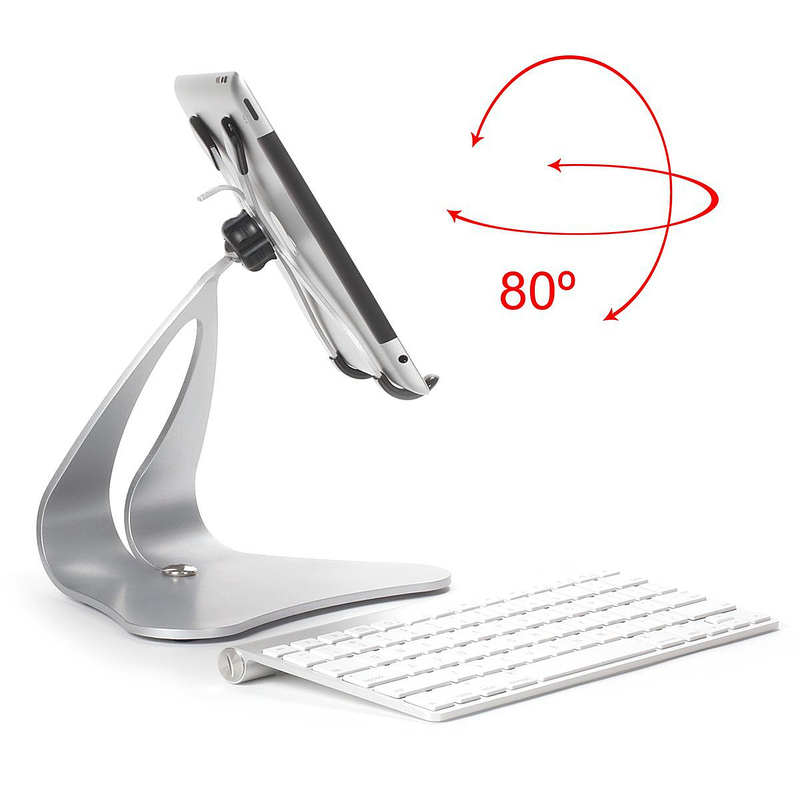 Plus you can easily mount the iPad in either portrait or landscape view. 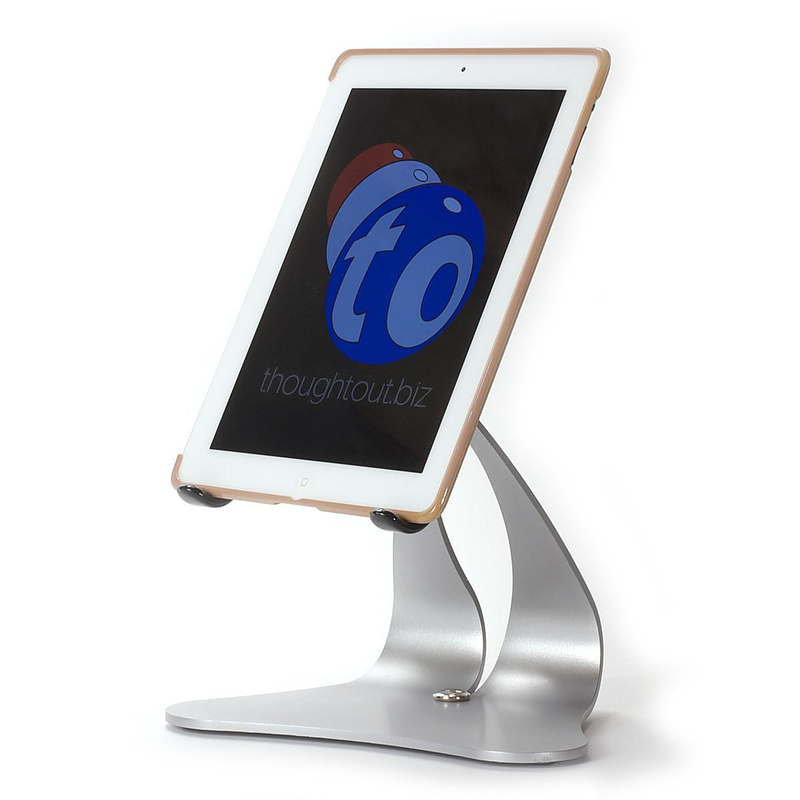 The sturdy construction, the quality finishing and the sharp minimal design make it clear the you are looking at a carefully designed, premium and flexible iPad stand. Thought Out characteristics like a full pivoting holder, split back cable management, anti-slip and non-skid feet (3M polyurethane) and quality protective padding where your iPad rests, make the Stabile PRO stand out. 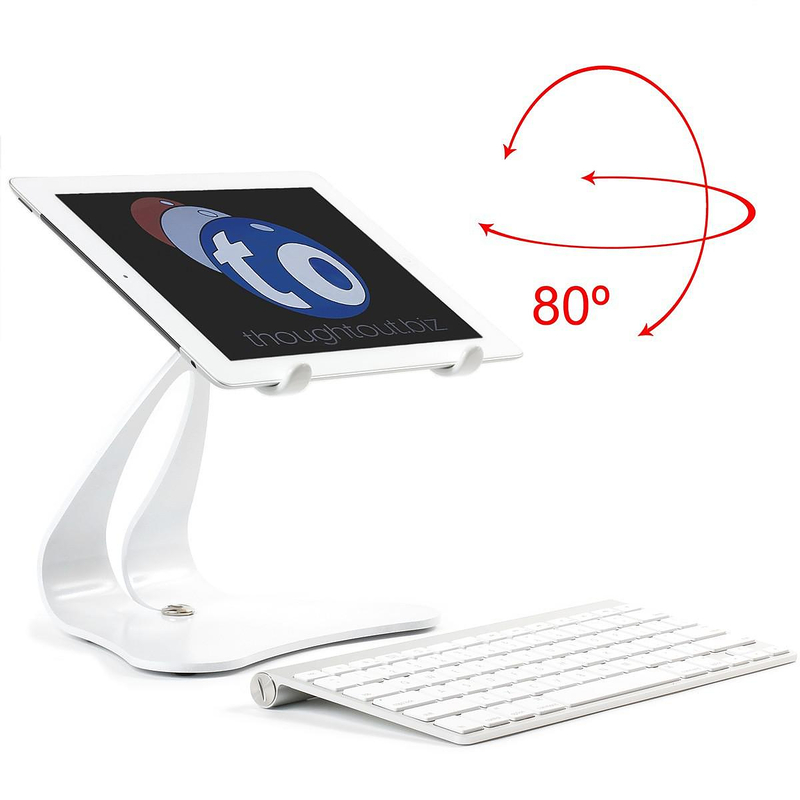 Moreover you can use the iPad without or with a case and if you add a Bluetooth keyboard to the mix, you have a complete touch screen desktop unit that looks the business. 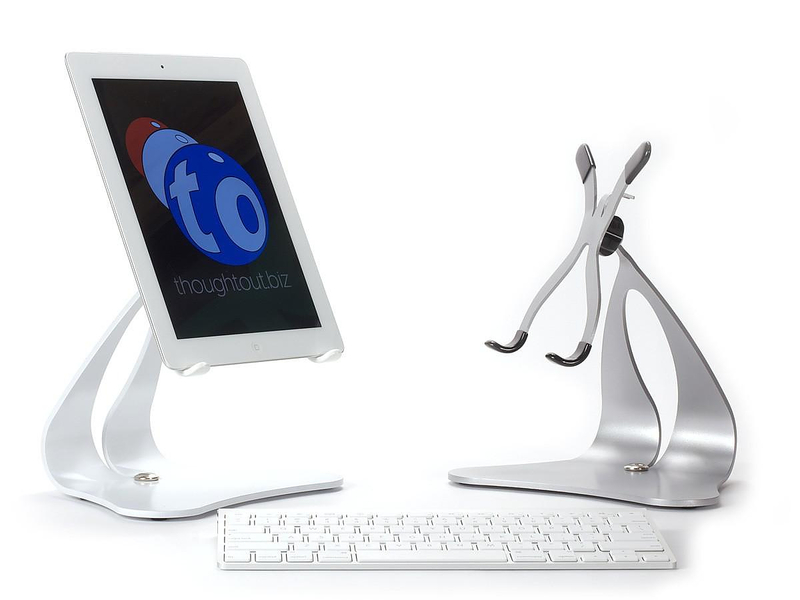 The Stabile PRO is Made in USA Certified, this means that it is not just assembled in the USA or something similar, it is in fact made there. 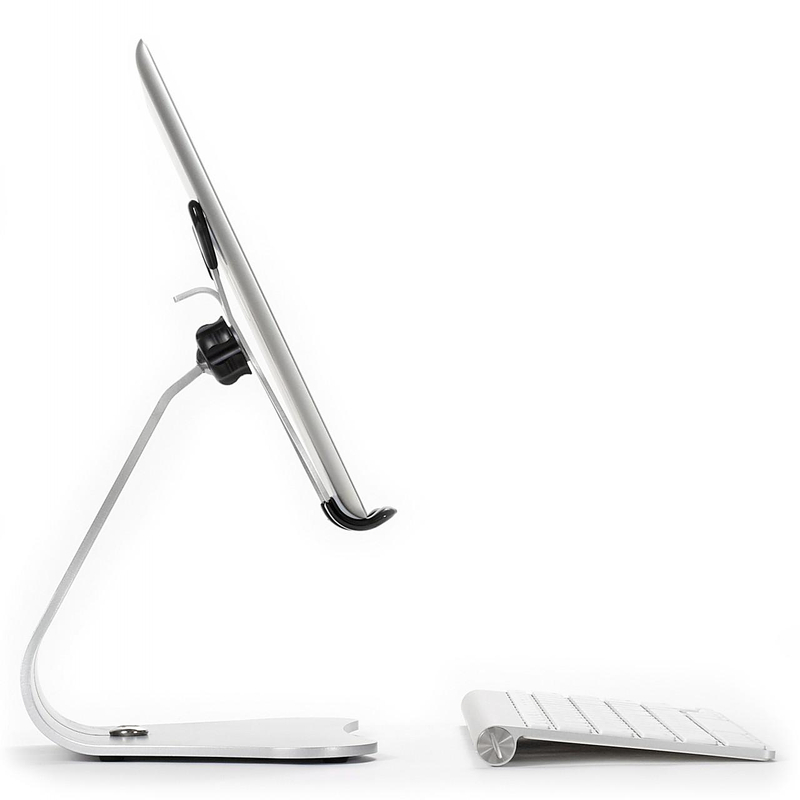 It comes in three different color options, black, white or silver. 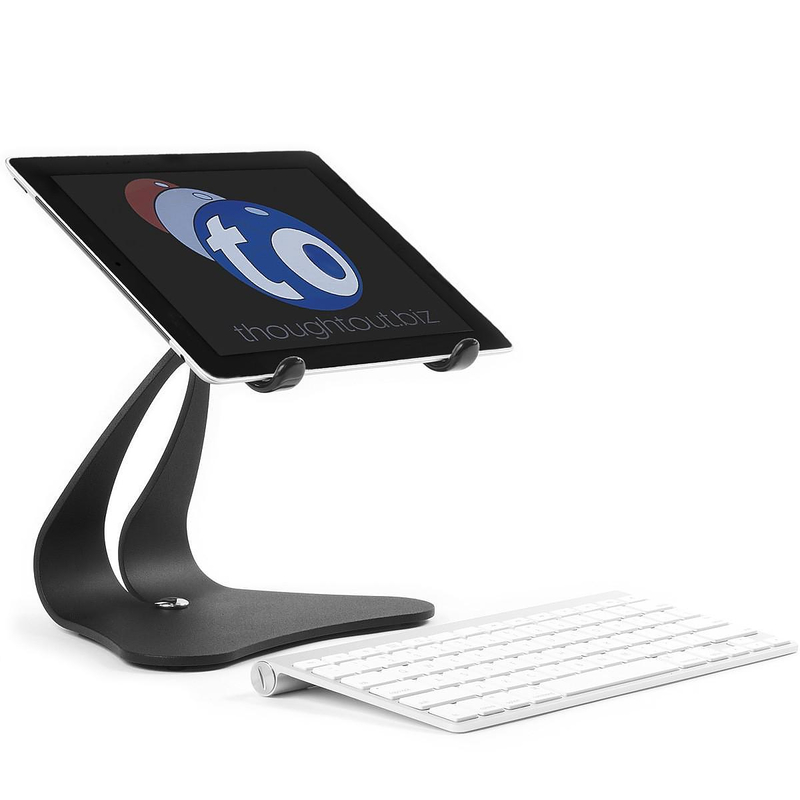 Even though the Stabile PRO is intended for use with an iPad, its flexible design makes it an ideal tablet stand for any similarly sized tablet. This is a great, solid tablet stand that conveniently holds the tablet at an easy-to-read level, looks stylish and offers many adjustment options.